The photos on this page are of a group of buildings on Ordnance Lane, off Fulford Road. In recent times they’ve been used by the council as emergency hostel accommodation. The plan now, as put forward in a recently submitted planning application and as reported in the Press, is to demolish them and erect modular buildings in their place. The replacement buildings would be radically different. Quite ugly too, judging by the available information, compared to what’s here already. But apparently the best option, according to council reports. Having looked at the planning application and associated reports I thought we could ponder some of the points raised, and also appreciate the history of the buildings, why they’re here on Ordnance Lane. And why it’s called Ordnance Lane. We need to start with another nearby road name: Hospital Fields Road. So called because there used to be a military hospital here, opposite the barracks. An article on the website of the Fulford, Fishergate and Heslington Local History Society has more information on the hospital. From the nineteenth century into the twentieth century a large area of land here between Fulford Road and the River Ouse was used for military purposes. Reminders of that history can be found near the river, in track on the river bank and an old solid boundary wall with a bricked-up opening. Ordnance Lane marks another corner of what was once a large military site. It’s a strange little lane, now a cul-de-sac going nowhere, on the edge of an area now largely redeveloped with industrial and office units. On the other side, looming over the lane, are the backs of the houses of Wenlock Terrace (which I’m sure I read somewhere are the tallest terraced houses in York). They’re off camera on the left on the photo below, which shows Ordnance Lane looking towards its entrance on Fulford Road. 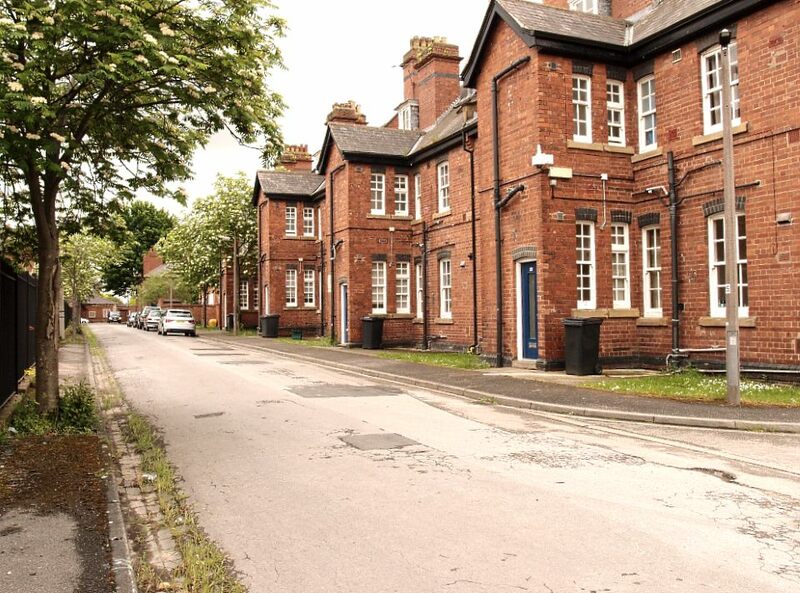 The buildings on Ordnance Lane have been described as Victorian, though available maps and other sources suggest that they were built in the early years of the twentieth century. One is at the top of the lane, where it meets Fulford Road, and other blocks are behind it, on a long plot. Looking at the available OS maps (accessible via www.old-maps.co.uk) gives us more understanding of the site and an appreciation of the fact that these residential buildings are a remnant of a much larger complex of buildings, all part of the hospital and therefore part of the important military history of the Fulford Road area. An 1892 map shows the hospital, titled ‘Station Hospital’, with nothing on the Ordnance Lane site and the road not marked with that name. By the time of the 1909 map the Ordnance Lane site has buildings on it, including the terrace of houses and the building fronting on to Fulford Road, which is also still there. There’s still no road name for the lane at that point. A map of 1931 shows the area full of buildings, with the large site closest to the river clearly titled ‘Ordnance Depot’. Which explains why the road here at the edge of the military land, heading towards it, is now named Ordnance Lane. By this stage the terrace of houses pictured here is clearly marked ‘Married Quarters’, alongside the large hospital building. In recognition of their history and connection to the military presence in Fulford Road it was suggested, some years back, that all the buildings on Ordnance Lane should be included within the boundaries of the Conservation Area, in addition to the building facing on to Fulford Road which already is included. They others weren’t included, as apparently the council decided that they didn’t meet the relevant criteria. The fact that the council might want to redevelop the site had nothing to do with it, the report said. So now, in 2016, we’ve got one of those odd situations where the council submits a planning application to itself. The proposed apartments will provide more appropriate accommodation which can be more efficiently managed. 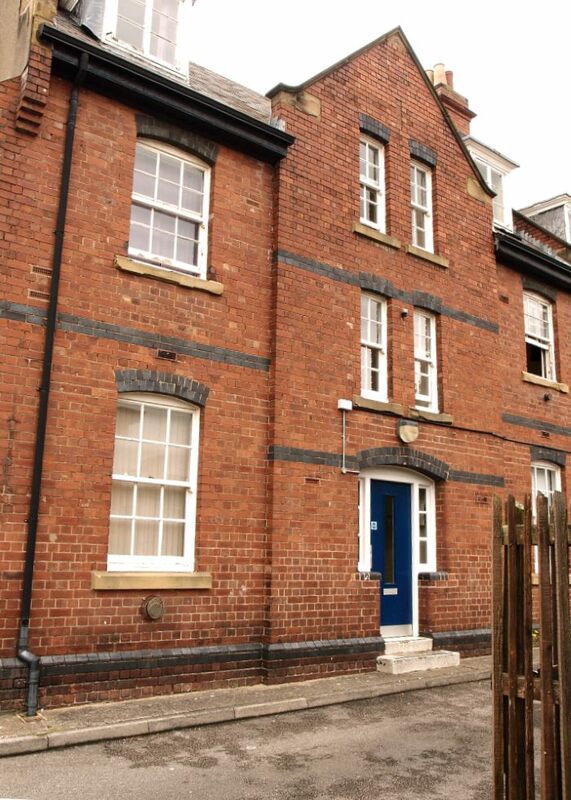 Also proposed is accommodation for Social Housing which will be made available for rent to Council tenants. One online comment I’ve seen suggested that the council has been wanting to replace the Ordnance Lane buildings for around 30 years. There’s no other record of that, but it’s certainly clear from reports available on the council website that they’ve been seen as in need of repair or replacement for at least eight years. It isn’t possible to have a long period of closure of this essential facility. So the ‘modular’ build option is seen as a way to get replacement buildings constructed and in use as quickly as possible. And presumably as cheaply as possible. Looking at the documents and illustrations submitted with the planning application it’s hard to feel enthusiastic about the proposed replacement buildings. It seems wrong to be completely wiping out the handsome and homely-looking buildings to replace them with metallic-looking boxes. But there’s clearly a pressing need for improved facilities, and for more social housing, and the proposals provide that. And it’s hard to find appropriate sites for social housing and hostel accommodation, and the council already has one here. Hard to see the new constructions lasting as long as these solid red-brick buildings have, or looking acceptable a century from now. Or even twenty years from now. But anyway, do have a look at the documents and drawings, and see what you think. Not that it matters what anyone thinks. This one seems already decided, and the planning application is just a formality. That’s fairly obvious. But, in terms of the actual build on the site, there seems to be an awful lot of grey. The materials described for the new build sound grimly industrial, and the colour palette even worse: ‘Grey’, ‘Anthracite’ and ‘Albatross’, a collection of names so evocative of miserable grimness that I didn’t know whether to laugh or cry. Further investigation revealed there would be some blue and green in there too. But also another colour called ‘Hamlet’. Grey, Anthracite, Albatross, Hamlet … doesn’t bode well, does it. It records that four people attended a consultation event on the plans, and one of those was a local councillor. More interest now perhaps, now it’s been in the Press. There was certainly a lot of interest on social media. Which is why I got around to writing about Ordnance Lane, having been meaning to do so for a month or more. As is often the case when compiling these pages I find I’ve got a lot of browser tabs open with various web pages and documents I’ve been reading as part of the research. I thought I’d include them all in case they’re of interest. Planning application, documents list: 16/00871/FULM | … Proposed Replacement Residential Accommodation Ordnance Lane York. By Lisa @YorkStories • 27 May 2016 Buildings, Planning To link to this page's proper location please use the > permalink. The old building have class the new ones no thank you. That they are deemed unsuitable as a hostel doesn’t seem enough reason to knock down more of York’s heritage. With creative thought conversion either within current use or to new use would be better. There must be other suitable places where expanded hostel type accommodation could be built either to supplement this or replace. I would have thought several smaller developments spread around the city would be more suitable both for those needing housing and local residents. No to demolition.take the long term view instead,get a good architect to redesign the inside. Demolishing them does seem pretty shocking, particularly when mid-20th century office blocks are being kept and refurbished. But it’s all about what’s seen as economically viable, of course. Thanks for your thorough article about this proposal. It was very useful in preparing this (draft) response to the planning application by Fishergate, Fulford & Heslington Local History Society, a copy of which is included below. Fishergate, Fulford and Heslington Local History Society (FFH) object to the proposed demolition of the former military hospital staff accommodation, on the grounds that insufficient consideration has been given to the Conservation Area and the detrimental effect on that Area of the loss of these houses and their intended replacement with a large block of overbearing and inappropriately designed buildings. 1. The site is partly within and immediately adjacent to the Fulford Road Conservation Area, key features of which are the remaining military buildings and their environs. 2. Some of the buildings, particularly the western terrace, are of an interesting and unique design and their demolition would be a significant loss. 3. The setting of this group of buildings is parallel to those of Wenlock Terrace and forms an interesting grouping which reflects the long association with the military history of York. 4. The principal reason for the proposed demolition is that the buildings are said to be unsuitable for the use which CYC currently make of them. This is an insufficient reason to justify the loss of the only remaining domestic buildings associated with the former military hospital and ordnance depot. 5. It will set an extremely bad precedent if CYC demolished historic buildings within and adjacent to a conservation area, and will encourage developers to believe that the authority does not value the protection which comes with such status. 6. 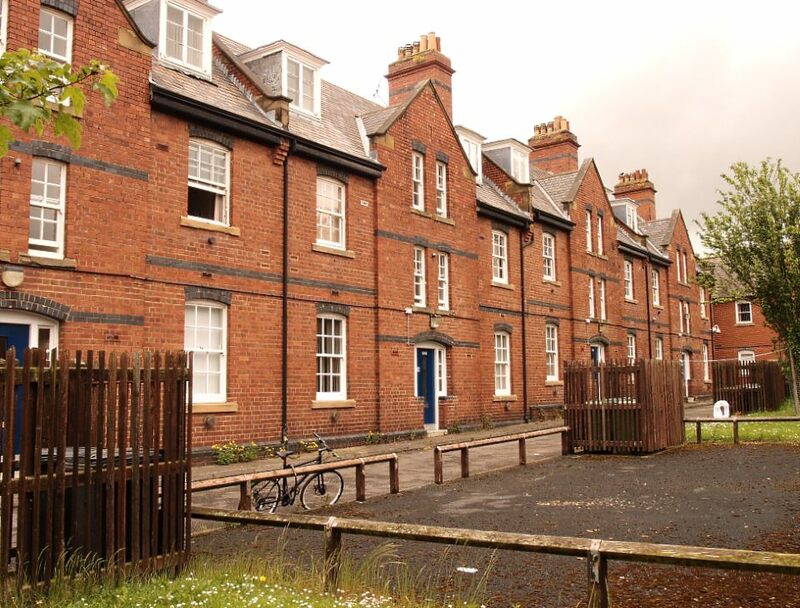 We urge CYC to find an alternative site for the new housing accommodation. 7. We call for CYC to promote a scheme for the sympathetic renovation and enhancement of these historically significant and architecturally interesting buildings. 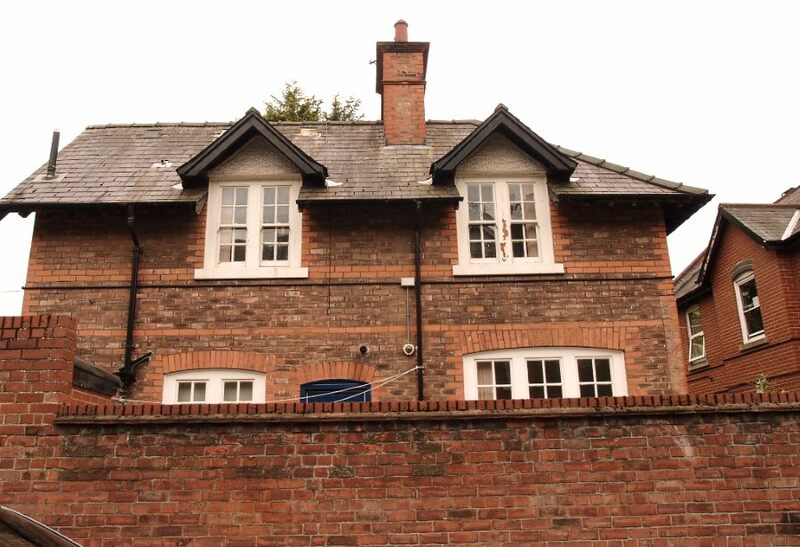 Section 69 of the Planning (Listed Buildings and Historic Areas) Act 1990 requires local planning authorities to designate as conservation areas any ‘areas of special architectural or historic interest the character or appearance of which it is desirable to preserve or enhance’. The same Act requires that a local authority, in exercising its planning powers, must pay special attention to the desirability of preserving or enhancing the character or appearance of a conservation area (Section 72 of the Act). 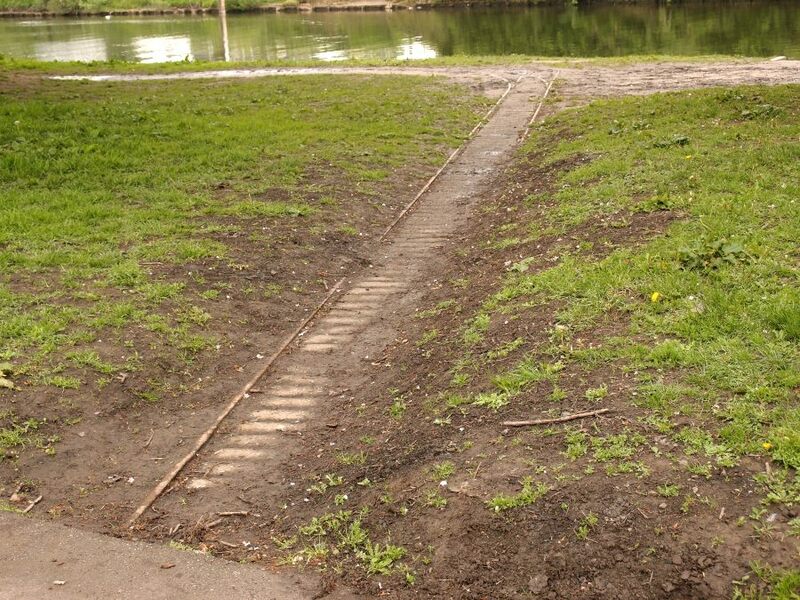 The Conservation Area Appraisal proposed that the whole of Ordnance Lane should be included in the expansion of the Conservation Area, and although only the roadside strip was eventually added, the appraisal’s description of its significance remains undiminished. 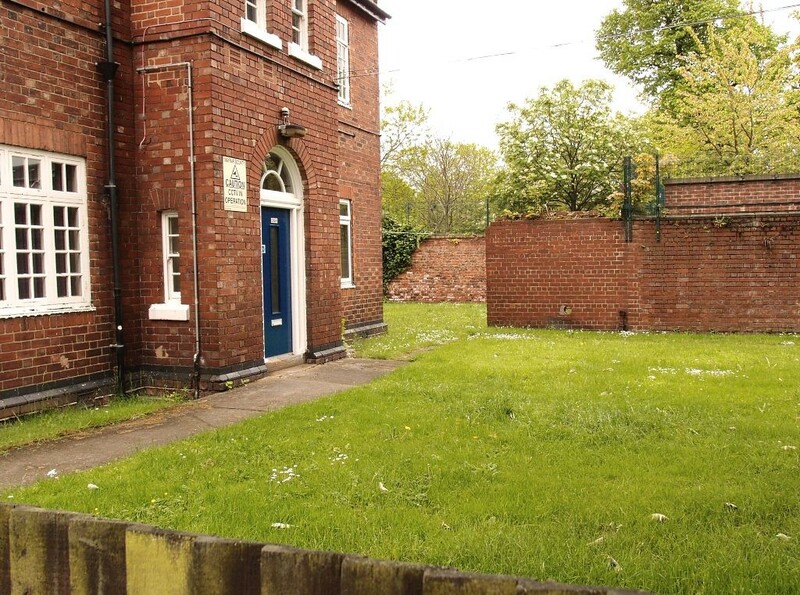 The military hospital has already been demolished, so these former homes for its staff are the last physical memory of an important element in York’s association with the large military establishment in the Fulford Road area. The community engagement process was inadequate and ineffective and cannot be considered to have met CYC’s obligations. 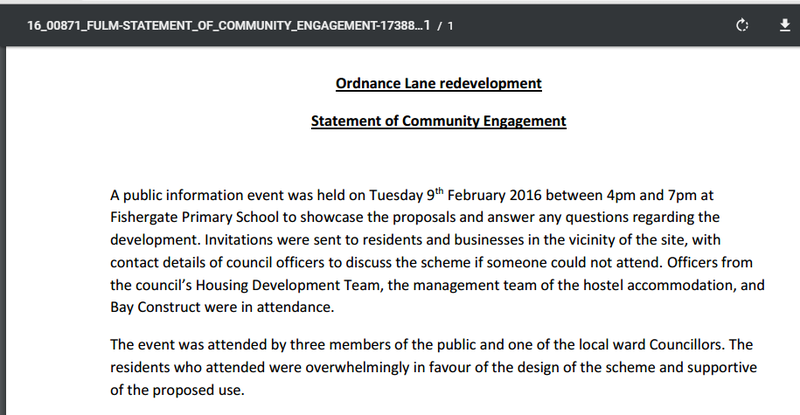 Attendance at the public meeting was ridiculously small, which reflects the lack of engagement with the local community, particularly groups such as FFH, which may be expected to have views on such a development but were not invited. A simple test of local interest could have been made by googling ‘York Military Hospital’ which will bring up a list headed by Fishergate, Fulford and Heslington Local History Society. 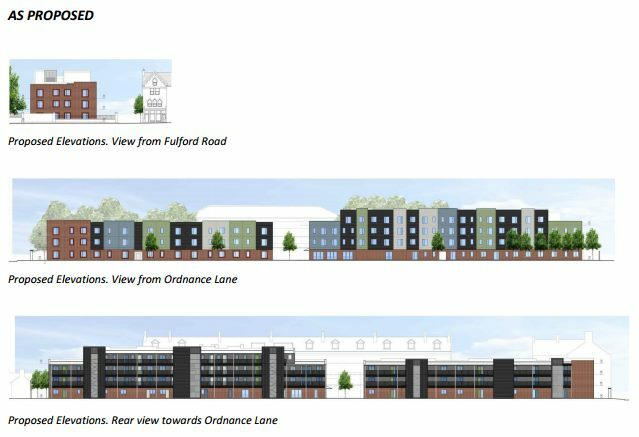 The proposed new buildings are of an inappropriate design for the Conservation Area, and will have an overbearing effect on the street-scape and adjacent tall Victorian buildings in Fulford Road and Wenlock Terrace. Currently, Ordnance Lane appears very unobtrusive from Fulford Road, with only the utilitarian side elevation of the first red brick house being readily visible. This is in dramatic contrast to the proposed development, which will have a starkly modern looking slab-faced building standing three storeys high only 5m from the boundary wall. The materials and colours proposed by the designers are of a striking character which is perhaps suitable for a highly urban city Landscape, such as some parts of Sheffield or Leeds, but are grossly inappropriate for this setting. The search for alternative locations has not been very wide ranging and it is unconvincing that no other sites are available. Thanks for putting this page together, and for writing about the proposals in such an infotmed and balanced way. I live near this site and I must admit the redevelopment was certainly “under the radar” for me. I remember hearing several years ago about the site being possibly sold off, or redeveloped, but nothing came of it. I knew nothing about the consultation meeting or I certainly would have gone, and this latest set of proposals came out of nowhere as far as I’m concerned. Locals I’ve spoken to say the same. People living in Wenlock Terrace are certainly going to suffer from what’s proposed and we would surely have had some objections from there if they had known what was planned? Anyway, if the plan was to get this one through on the quiet I very much hope that has now been thwarted. I will certainly be objecting. Bay Construct were in attendance. Only THREE members of the public and only one meeting, I would think the Council should be required to establish a higher level of ‘engagement’! I ‘discovered’ the information on the proposed Ordnance Lane site by accident, whilst looking for historical information on Wenlock Terrace in connection with the proposed erection of a 7 unit, 3 storey building, with roof garden, in the yard of 14 + 15 Wenlock Terrace – a proposal which has also apparently been ‘under the wire’. Although Guy Hanson, Design & Sustainability Manager has raised several points of concern, the proposal seems to be proceeding, with a survey on local traffic and parking being initiated within the near future.